The intention of this book was to provide the Reader, primarily graduate students and young researchers in materials engineering, bio(chem)physics, medical physics and biophysics, with a set of articles reviewing state-of-the art research and recent advancements in the field of photon-matter interaction for micro/nanomaterials synthesis and manipulation of properties of biological and inorganic materials at the atomic level. Photon-based nanoscience and related technologies have created exciting opportunities for the fabrication and characterization of nano(bio)material devices and systems, and it is expected to significantly contribute to the development of Nanobiophotonics and Nanomedicine. This popular, often cited text returns in a softcover edition to provide a thorough introduction to statistical physics and thermodynamics, and to exhibit the universal chain of ideas leading from the laws of microphysics to the macroscopic behaviour of matter. A wide range of applications illustrates the concepts, and many exercises reinforce understanding. Volume II applies statistical methods to systems governed by quantum effects, in particular to solid state physics, explaining properties due to the crystal structure or to the lattice excitations or to the electrons. The last chapters are devoted to non-equilibrium processes and to kinetic equations, with many applications included. 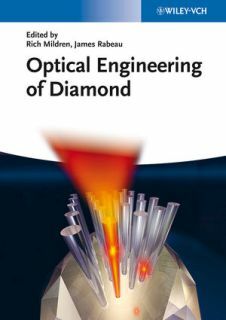 This is the first comprehensive book on the engineering of diamond optical devices. Written by 39 experts in the field, it gives readers an up-to-date review of the properties of optical quality synthetic diamond (single crystal and nanodiamond) and the nascent field of diamond optical device engineering. In Science of Microscopy, comprehensive reviews set innovations in the context of microscopy today. Each contribution presents a form of microscopy or occasionally a microscopic technique, and provides information about the instruments involved and their areas of application. 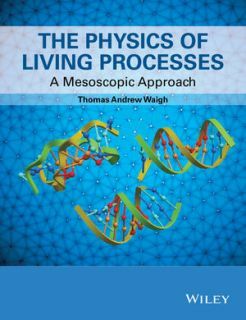 The contributions are written in such a way that the reader can understand how the various instruments function, their strengths and weaknesses, and whether they are suitable for a particular scientific investigation. Science of Microscopy will be an indispensable guide to both a wide range of scientists in university laboratories and to engineers and scientists in industrial R&D departments. 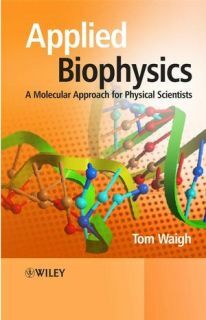 This book presents the fundamentals of molecular biophysics, and highlights the connection between molecules and biological phenomena, making it an important text across a variety of science disciplines. This book covers the bulk growth of semiconductors, i.e. silicon, gallium arsenide, cadmium mercury telluride, indium phosphide, indium antimonide, gallium nitride, cadmium zinc telluride, a range of wide-bandgap II-VI compounds, diamond and silicon carbide, and a wide range of oxides/fluorides (including sapphire and quartz) that are used in many industrial applications. Pedagogical insights gained through 30 years of teaching applied mathematics led the author to write this set of student oriented books. Topics such as complex analysis, matrix theory, vector and tensor analysis, Fourier analysis, integral transforms, ordinary and partial differential equations are presented in a discursive style that is readable and easy to follow. Numerous clearly stated, completely worked out examples together with carefully selected problem sets with answers are used to enhance students' understanding and manipulative skill. The goal is to make students comfortable and confident in using advanced mathematical tools in junior, senior, and beginning graduate courses. Pedagogical insights gained through 30 years of teaching applied mathematics led the author to write this set of student oriented books. Topics such as complex analysis, matrix theory, vector and tensor analysis, Fourier analysis, integral transforms, ordinary and partial differential equations are presented in a discursive style that is readable and easy to follow. Numerous examples, completely worked out, together with carefully selected problem sets with answers are used to enhance students' understanding and manipulative skill. The goal is to make students comfortable in using advanced mathematical tools in junior, senior, and beginning graduate courses. This is the ninth volume of a well-established series in which expert practitioners discuss topical aspects of light scattering in solids. It reviews recent developments concerning mainly semiconductor nanostructures and inelastic x-ray scattering, including both coherent time-domain and spontaneous scattering studies. This full-colour undergraduate textbook, based on a two semester course, presents the fundamentals of biological physics, introducing essential modern topics that include cells, polymers, polyelectrolytes, membranes, liquid crystals, phase transitions, self-assembly, photonics, fluid mechanics, motility, chemical kinetics, enzyme kinetics, systems biology, nerves, physiology, the senses, and the brain.